Today, Bo still heads our design team – all of which are inveterate all-season backcountry adventurers – and he – and they – still see design through that function-first, problem-solving lens. 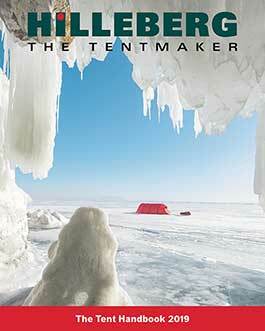 Bo and his team spend a great deal of time in the tents, in all seasons, so many – if not most – of our designs are literally born in the wilderness. From there, solutions are sketched, drawn, and digitized in our CAD system, and usable prototypes are created. “Design” then morphs into “development,” and every detail and every tent goes through months – and often years – of testing before it goes into production. Of course, designing a great tent – creating an elegant solution to a problem – is one thing, but manufacturing it is another. To ensure that we can build what we envision, and do so at the level of quality we demand, we own and operate our own, ISO-9001: 2014 certified, manufacturing facility in Estonia. 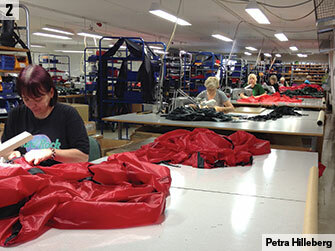 We also work with a few carefully selected contract factories, but the hub of our production process is our Estonian facility, where we set up, inspect, and approve the tents before they are shipped. This interwoven design and manufacturing cycle gives us full quality oversight, and also lets us seamlessly adopt any design improvement we create. Throughout the process, we are testing new materials and tent prototypes, in both high tech labs and in year-round field use, and we are constantly reevaluating our in-line models, as well. All members of the company take part in this development system both by contributing what they learn from their own wilderness trips, and by seeking out and collecting feedback from our retail partners and other Hilleberg users from all over the world. Our design process is equally dependent on “outdoor” and “indoor” efforts. Field testing and evaluation takes place throughout the year in all conditions. Similarly, office work – whether CAD patterning, sewing prototypes, or reviewing data from the field tests – is constantly ongoing. We order materials for every production run many months in advance, and do exhaustive quality control testing. This way, we ensure that we can replace any inferior component long before production begins. We test every roll of all our fabrics for proper color, abrasion resistance, waterproofness where appropriate, weight and hand properties. We also test a significant sampling of outer tent and floor fabric rolls for tear strength, and, in the case of outer tent fabrics, color consistency and color resistance to light. We also subject our tent floor fabrics to “tapability” tests along with the other, more standard tests. In addition, we ensure that poles, zippers, fasteners, webbing and the like all meet our quality criteria. 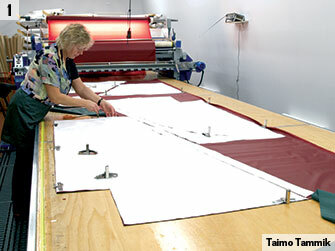 Fabric pieces are cut using pattern shapes. The relevant pieces – including fabric, zippers, and all details needed for each model – are assembled, and passed on to the sewers. 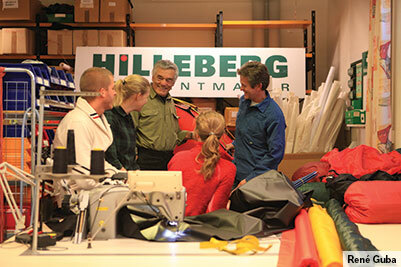 Every tent we make is completely set up and inspected before it is shipped. A Tent Inspector visually inspects both the inner and outer tents, puts the two together, inserts the poles and puts on the ground straps. After erecting the tent he or she makes sure the ground straps have the proper tension, and opens the tent to check zippers and seams. After closing the tent up, he or she does another quality check and affixes the guy lines and line runners. If at any point a mistake is discovered, the affected piece goes back to the production area for correction. Once the tent is certified and approved, it is taken down. 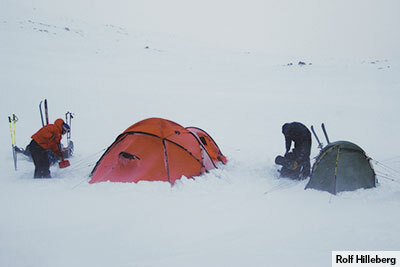 Poles and pegs are put into their individual stuff sacks and bundled with the tent, into its stuff sack. Finally, an instruction booklet is added, as are quality control and hang tags. 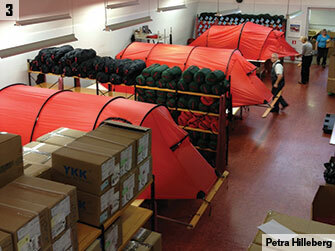 The completed tent is now ready for shipment to the company warehouses in either Sweden or the US.